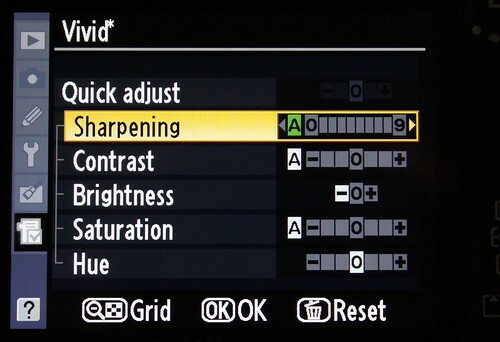 These are the camera settings I use for day-to-day shooting with the Nikon D300. Please realize that settings essentially tailor the camera to produce output that you prefer, so my settings won’t necessarily work for you. Click the photo to view a larger version. Examples of photos using this modified Vivid settings are here, here and here. Get more Nikon D300 tips.